Reserve an Igloo in our Winter Garden - the perfect private dining location. Voted TimeOut best outside bar in Camden. 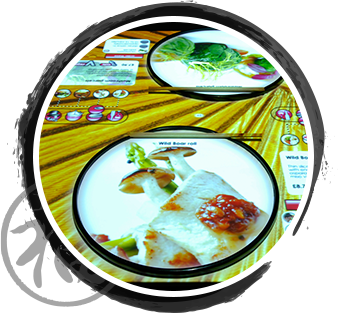 inamo are pioneering restaurants & bars. 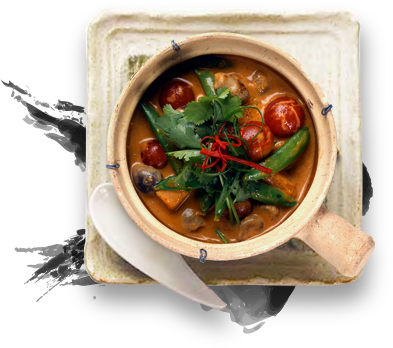 With locations in Soho, Covent Garden & Camden, we craft Japanese, Chinese, Thai & Korean cuisine, including fresh sushi, served to share. Voted best local restaurant & outside bar in Camden, and best Brunch in Central London by TimeOut in 2018. Our first site opened in 2008, & since then our groundbreaking technology has delighted over a million patrons, & achieved countless awards. 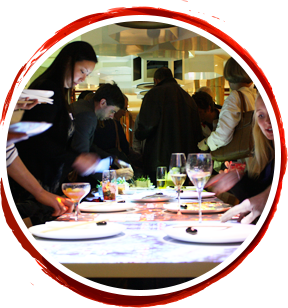 Interactive projections on your table surface enable you to set the mood, discover the local neighbourhood, and entertain you with retro games, live chef-cam feed, and even graffiti your table top. We strive to be renowned for our technology, and loved for our food & service. 134 - 136 Wardour St, W1F 8ZP - other weekday lunch times can be opened upon request. 11-14 Hanover Place, London, WC2E 9JP - weekday lunchtimes & Mondays we can open upon request. Please contact us to enquire. ​265 Hampstead Road, Camden NW1 7QX - we can open at other times upon request. Please contact us to enquire.